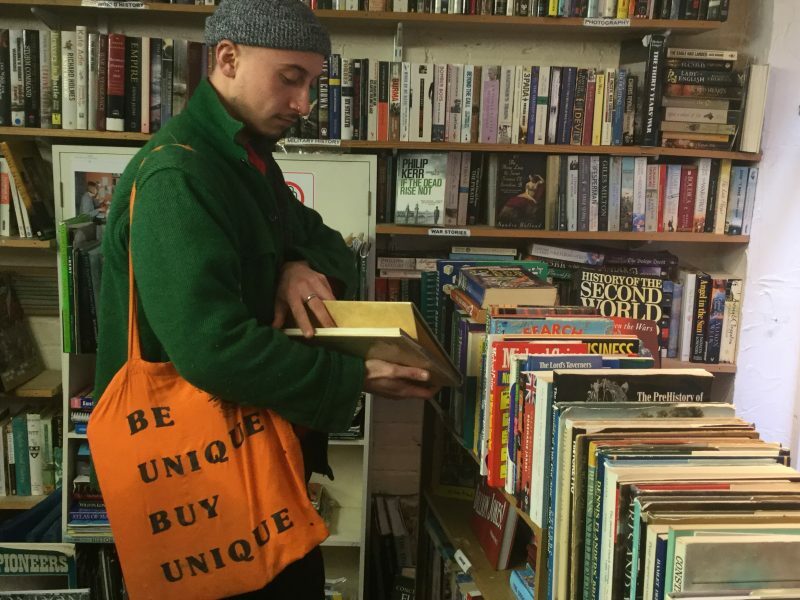 Faversham Life wrenches its nose out of a book to share the delights of serious bookshop browsing. 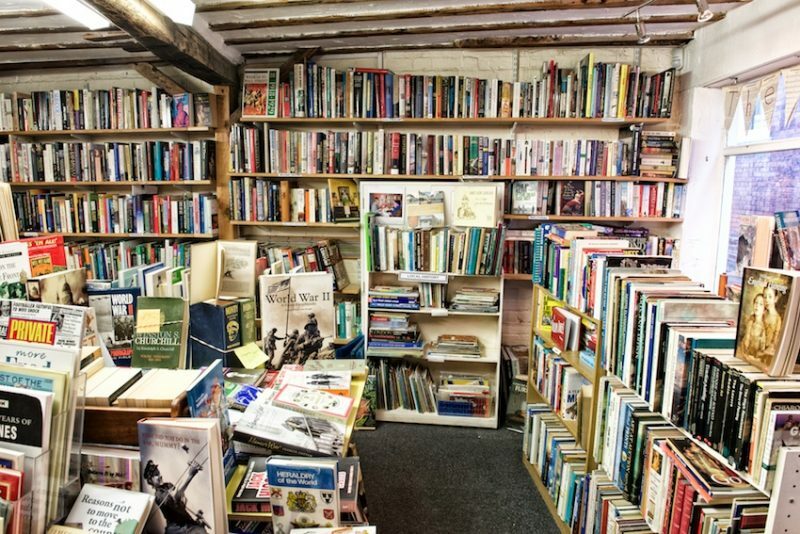 The Fleur Bookshop is crammed to its 18th century rafters and the organisation is admirable. You will not find Iris Murdoch rubbing dust jackets with Alan Titchmarsh, nor Delia Smith crushed beneath the weight of Anthony Trollope. 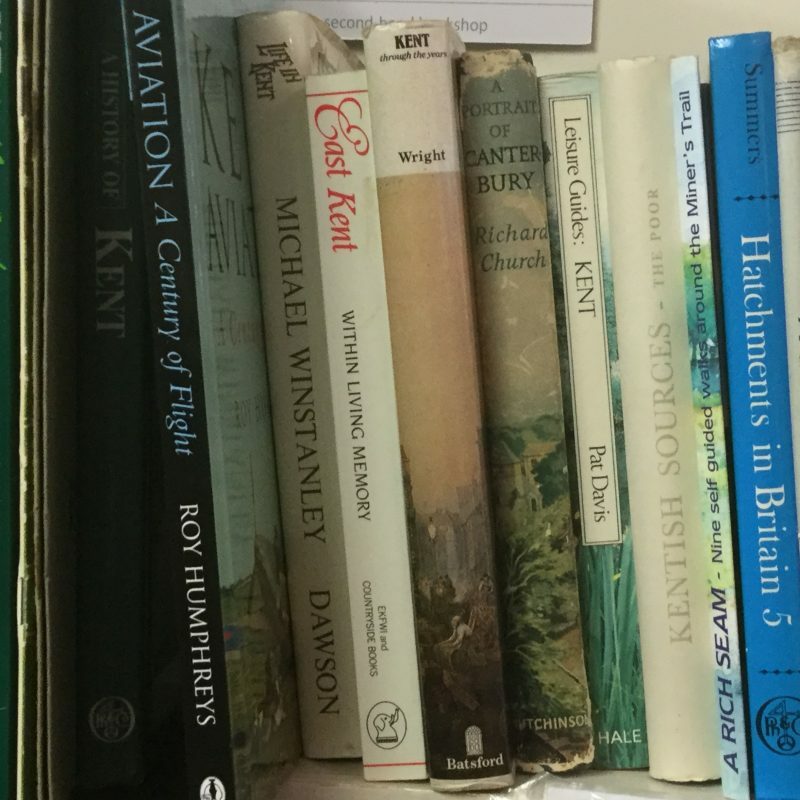 Books line the walls entirely with each placed in its category – albeit categories that expand, shrink, arise and sometimes disappear altogether, according to the books donated. 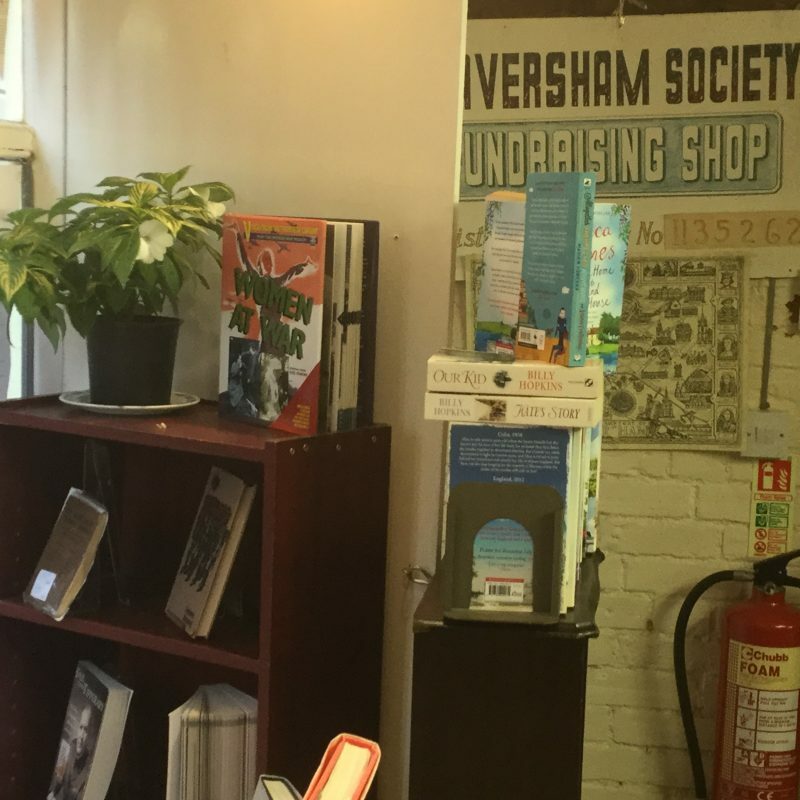 The Fleur is a charity bookshop which has been raising money for The Faversham Society for nearly a decade. It is open from 10 to 3.30 from Monday to Saturday and relies entirely on donations. 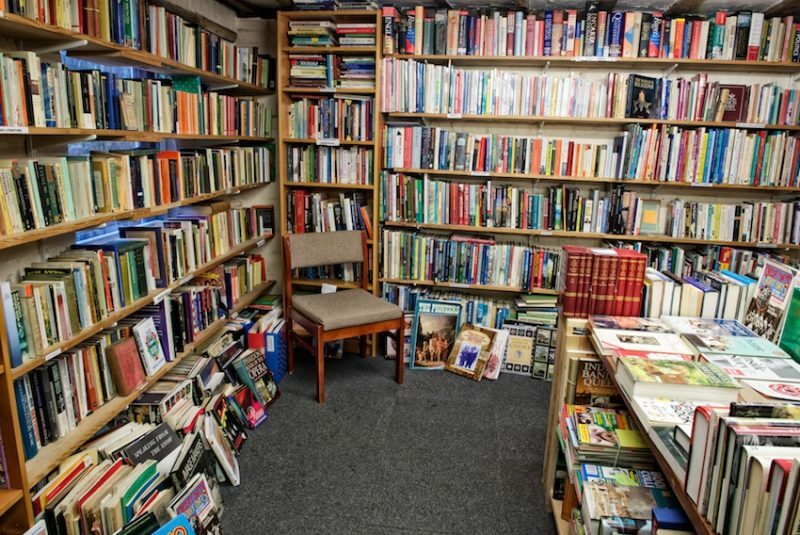 This bookshop is one of Faversham’s great charms, allowing visitors the delight of discovering a gem when, catching sight of the book trolley in narrow Gatefield Lane, they escape from busy Preston Street to browse without interruption and at their leisure. There is no pressure to buy, though invariably you do. As I hurry past, I’m usually snagged by The Fleur’s window display which is changed every Tuesday and appeals to my capricious approach to expanding knowledge. There is always a theme. I am reminded that I don’t really know enough about expressionist art, or that the study of insects is something that has largely passed me by, and that if I go in and buy this book or that book, this deficiency will be remedied. It’s very enticing. 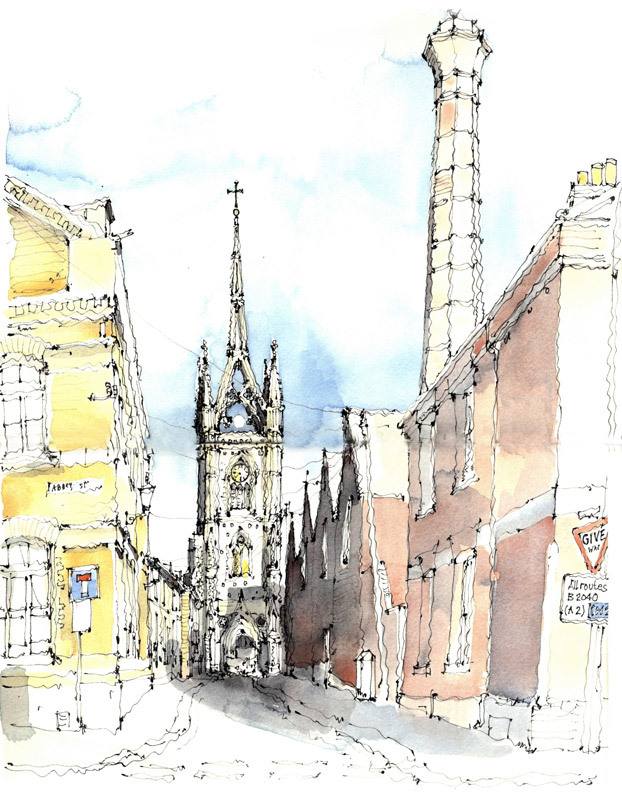 The theme is often relevant to current events whether in Faversham or beyond. 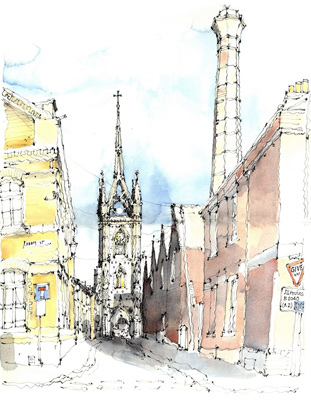 When Faversham opens its gardens in June, there is a display of gardening books; when it opens its houses in July, there are books on architecture. 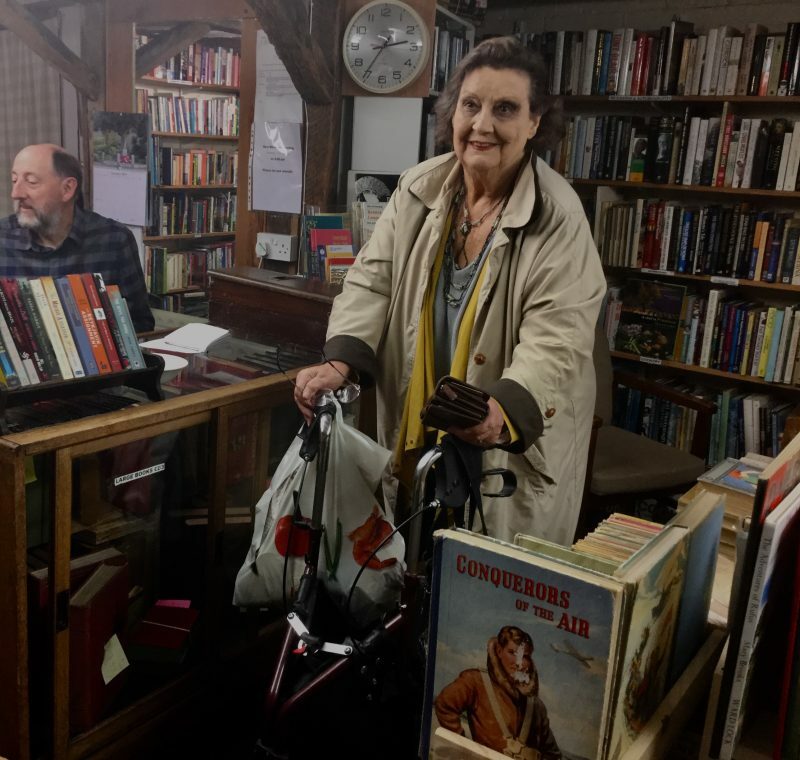 Faversham Life caught up with Wendy Clarke, who runs the bookshop after closing, and as we chatted, we watched passersby in the gathering twilight outside, their progress arrested by the display of poetry books, histories and biographies relating to The Great War. 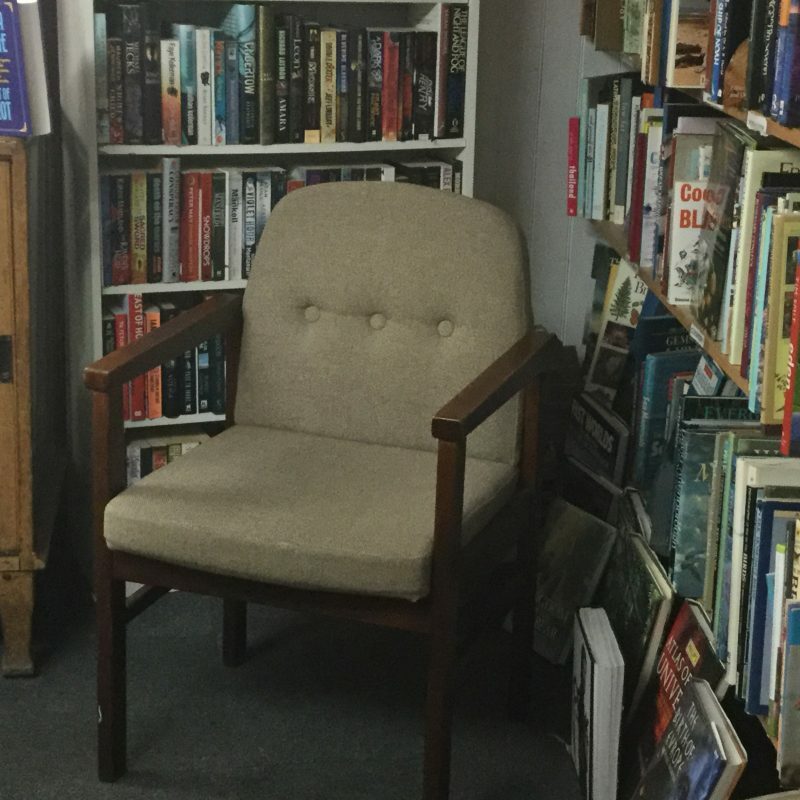 Wendy Clarke and the 25 other volunteers (there is a waiting list for volunteers) run the shop, sand down the floors, create bookcases on wheels to conjure up more shelf space and drive out to collect donations if needed. 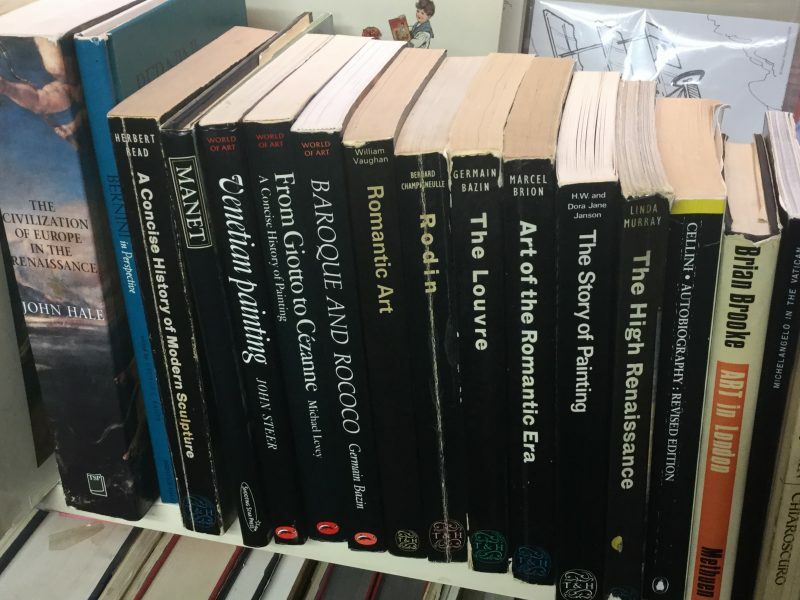 They accept all donations of books in readable condition (though preferably not Reader’s Digest) so the emphasis of the stock is constantly changing. ‘One day we received 50 books on woodturning. We had to make a new category!’ says Wendy. A dealer bought all of them. 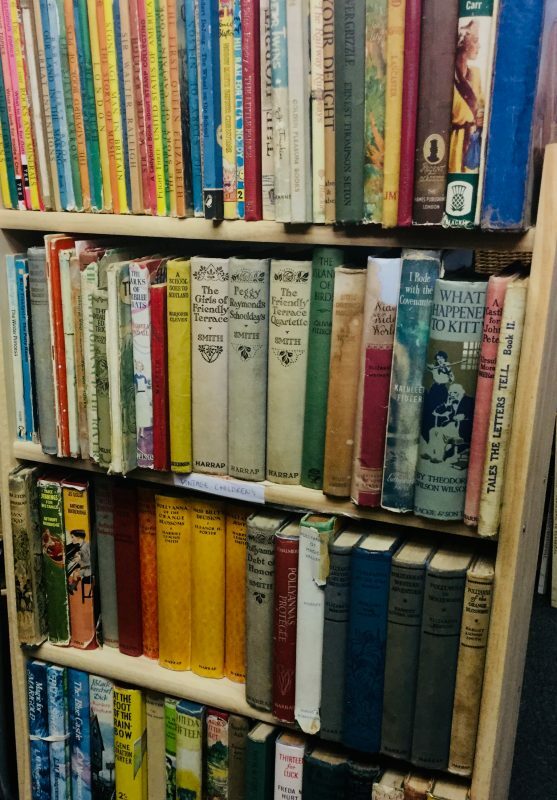 There have a lot of vintage children’s books at the moment – next week it may be something else. The Fleur is a bookshop that satisfies the esoteric bent. The books which have made the biggest profit are an 18th century book on Greece written in Greek, and an old veterinary publication. There is a large selection of books on railways and a large selection of customers who buy them. There is great demand for local history books and some kind donor recently drove over from West Kent to give them a haul of books about Faversham. The value of all the books is researched. Wendy says: ‘We sell at a good price, but we know what we’ve got.’ All fiction and classics sell for a pound. ‘Sometimes people say we could sell for more, but we aim to be cheap but fair,’ says Wendy. 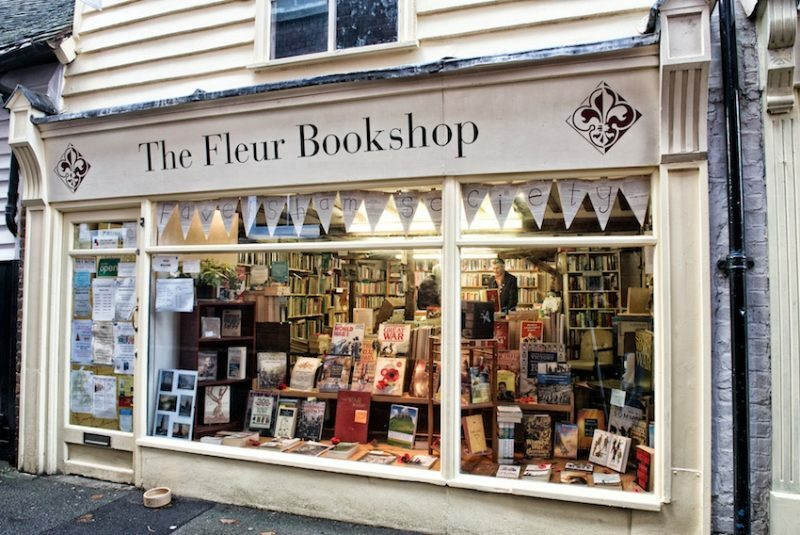 The Fleur is launching officially on ebay this week under the moniker, Fleurcharitybookshop, where books will be sold by auction or at a fixed price. Christmas stock is being gathered at present in the back of the shop. Soon the central table will be piled high with almost new books, and quirky books for stocking fillers.